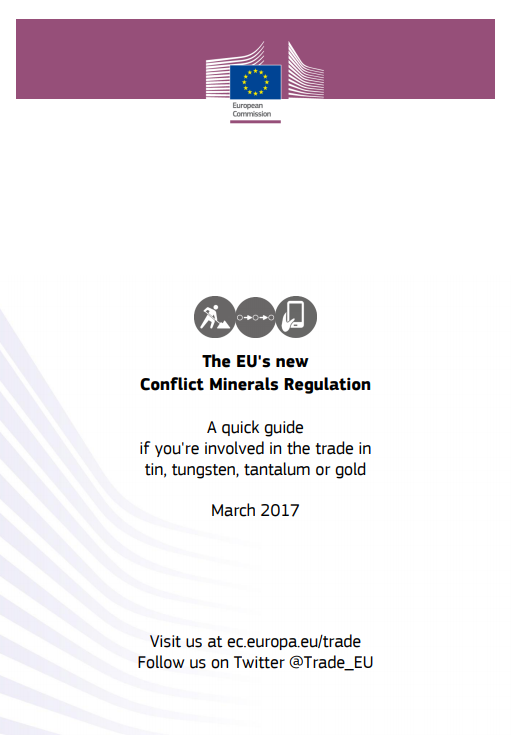 string(1046) "Resource Centre > Uncategorized > EU Conflict Minerals Regulation"
Regulation (EU) 2017/821 of the European Parliament and of the Council of 17 May 2017 laying down supply chain due diligence obligations for Union importers of tin, tantalum and tungsten, their ores, and gold originating from conflict-affected and high-risk areas. In politically unstable areas, armed groups often use forced labour to mine minerals. They then sell those minerals to fund their activities, for example to buy weapons. These so-called ‘conflict minerals’, such as tin, tantalum, tungsten and gold, can find their way into our mobile phones, cars and jewellery. The law also supports the development of local communities. It requires EU companies to ensure they import these minerals and metals from responsible sources only. The law will start on 1 January 2021 so companies have time to adapt to it. 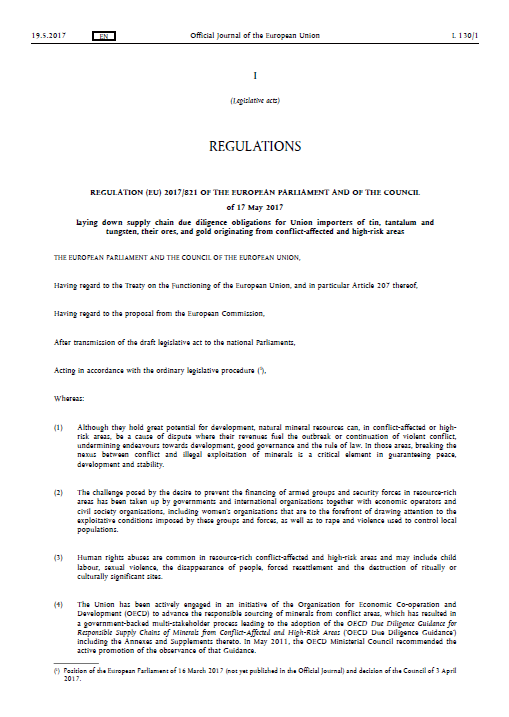 See the actual Legislation online and in different languages here. See the regulation explained here. More information on the regulation here.